Posted under Health Guides. Updated 29 August 2016. Nafarelin acetate is the generic name for “Synarel,” a medicine that is used to treat endometriosis. It is a type of gonatropin-releasing hormone agonist (GnRH agonist) medicine. GnRH agonist medicines help to lessen pelvic pain caused by endometriosis. Synarel works by shutting off hormones made by the ovaries, so estrogen (one of the hormones that cause your body to have periods) is lowered. 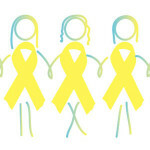 When you do not have periods, endometriosis symptoms usually decrease or go away completely. Synarel is a nasal spray that is typically prescribed as: 1 or 2 sprays in one nostril in the morning and 1or 2 sprays (in the other nostril) in the evening (about 12 hours apart). It is very important to take Synarel at the same times every day without missing any doses. Are there any reasons that I shouldn’t take Synarel? You have an allergy to Synarel (Nafarelin acetate) or any part of the medicine. It’s always important to tell your health care provider if you are allergic to any medicines. *Make sure you tell your health care provider about all of the medicines you take including over-the-counter herbs and supplements. Talk to your health care provider (HCP) about whether you are at a higher risk for bone density problems (how solid and strong your bones are) and whether you need to have a bone density test before you start the medicine. Know that it usually takes a few cycles to see an improvement in symptoms. What are the possible side effects of Synarel? Nasal irritation and/or a runny nose are also possible. Serious side effects are rare. If you experience chest pain or pressure in your chest area, irregular heartbeat and/or trouble breathing, you should go to the closest emergency department. Where should I keep my Synarel? Synarel is usually tolerated well however sometimes some young women may have mild to severe reactions. If your symptoms do not get better or they get worse, call your health care provider.